Totaalvoetbal and Are We Overcoaching? Across the years there have been many great footballing eras. When they came along it represented times when something new and revolutionary was happening, something that would alter the way that football clubs would try and do things from that point. The most recent era I feel came in with Guardiola’s Barcelona. Guardiola was undoubtedly the beneficiary of some fine ground work from those that came before him, but his quick passing, probing, possession football with an emphasis on winning the ball back quickly through a high press now looks to primarily be the modern blueprint for top sides. Before this the Italian style of Catenaccio proved effective and saw the big Italian clubs as the dominant force for a period of time. Well organised defensive systems with devastating quick counter-attacking ability. Even with the newer developments with the high press you still see the art of Catenaccio proving effective today. In fact, it is almost the antithesis of the high press and the style of football most likely, carried out correctly, to still frustrate and overcome a dominant high press team enjoying superior possession. Going even further back we have had Pele’s Brazil who were just….well they were just Brazil and brilliant. 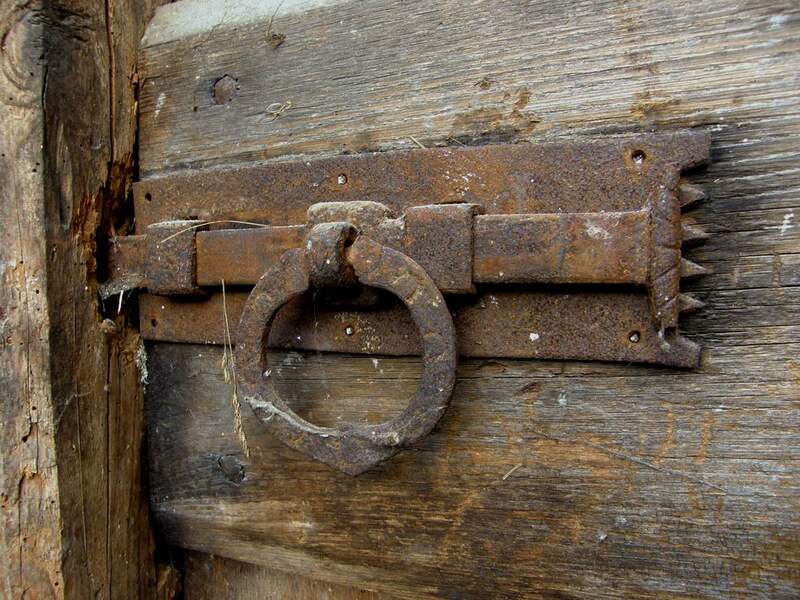 It is likely that a modern top team needs to borrow certain aspects from all the great eras. One of the greatest eras that saw a revolutionary change in the landscape was that of Totaalvoetbal, or better known to most of us as Dutch total football. It is this concept that I wish to touch more upon today. It could be argued that it wasn’t a completely new concept at the time of its recognised development. The great Brazil, Hungarian and Madrid sides preceding this could have been viewed as total footballing sides. However, it certainly became recognised as an entity in its own right in the 70’s, mainly through the Ajax side of Rinus Michels with the great Cruyff (RIP) as its most famous offspring. I am sure some of our Dutch contingent can add far more to my more limited knowledge on the subject but the basic idea is that you coach a team of highly technically skilled players that can take up the position of any one of their team-mates at any time in the game thus creating a fluid attacking system with interchanging players. The question I have is – can it still effectively function on its own in the modern game, to the point where other styles and systems need not be considered? Alternatively, does it still have its place in modern football but not in its full purist all-encompassing style that was seen in the 70’s? Can the total football style still be a key component in a modern football club but it is now necessary to know where its effectiveness ends in the modern game? In today’s game I feel you can still see great merit in this style of coaching, particularly with the academy player’s skill set development. I will put my neck out and state that I feel that Arsene Wenger adheres to its principles in his footballing philosophy and utilises it in the development of our academy players. I wonder though if we take it too far in this modern era. By this I mean is it now an effective concept in modern top level first team football beyond the development period of the academy player. It seems to me that Arsene frequently carries its concepts into our first team, and even at this point still likes to move certain senior first team players around into different positions. Personally I feel the 70’s total football concept is excellent for youth development but that, in the modern game, once a player is considered a regular first team player it becomes more important to discern where their key strengths and weaknesses lie and to identify that players best position and then let them then develop their skills further to become as effective as they can in that role. I have harboured a feeling for a while that we are almost over-coaching many of our more senior young players, beyond the point of where it is useful, and that then it becomes a hindrance to their further development. Are we creating too many Jack of all trades master of none, and does the modern game requires a greater number of specialists than was required back in the 70’s where a greater number of adaptable players was effective? 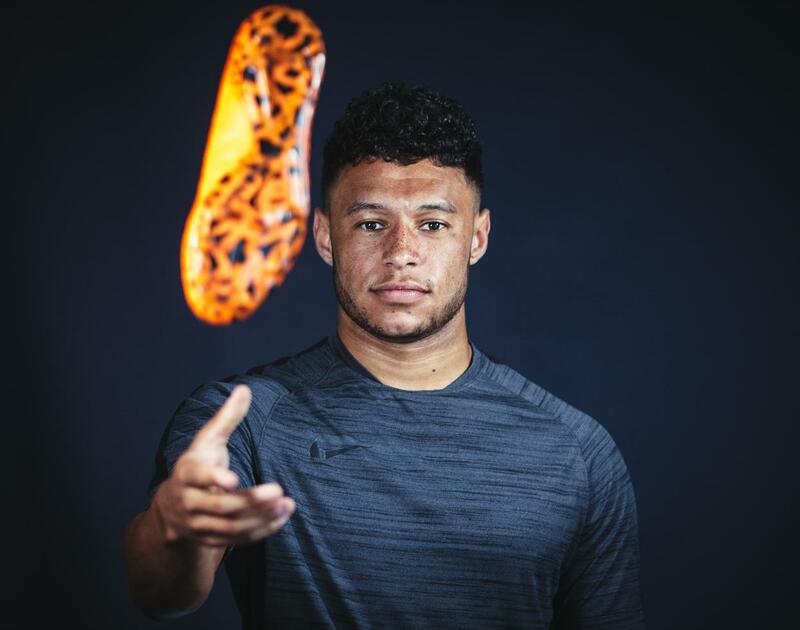 The player that really comes to mind for me is Oxlade Chamberlain. I feel he has been shunted around too much and we have not found his best position and allowed him to develop into it. This idea could be applied to other players as well and I do wonder if this is why we are seeing the likes of Oxlade Chamberlain seemingly stall, if not go backwards, in their development as a player once they are more regularly in the first team. Who will be the stronger team – our reserves or Hull’s? Let’s weigh up the evidence: Arsenal have a second team full of players who have been strained through one of the most rigorous examinations of world footballing talent. Targets identified, Arsenal spend many millions bringing players into the squad then working together to become a team. They are pampered, cosseted and trained by the very best coaches money can buy. Hull are not in this fortunate position. Their scouting for squad players involves going to the local park and seeing if there are a few blokes who can run a bit and have a sense of direction. Hull are expected to make 9 changes from their last game and Arsenal about the same. What does this say about the current status of the FA Cup? Yesterday I had a pleasant chat with a friend on this very subject (following on from a discussion on AA with Herb). Is the FA Cup relevant? Is it important to anyone who was born post-Sky Sports? The first thing to say is that financially it is far better to finish 4th than to win the FAC. This diminishes its value to the moneymen and accounts (to some extent) in big clubs using squad members prior to the semi-final. Secondly, winning the FAC gains entrance into the Europa Cup which is hardly a plus. Then there is the unfortunate decision on the part of the FA to play semi-finals at Wembley, thus diminishing the grandeur of the Final. Balanced against this is Glory. Silverware. Tradition. History. A Street Parade. Champagne. Celebration on a massive scale. Placards around the Emirates. Should be enough to win and allows the main players to rest ahead of the big midweek game. I expect most of this afternoon’s entertainment to come from the man who used to wear black but now wears yellow and black – the mercurial Mike Dean. This bloke is a complete plum and probably a Parking Attendant in daily life. Inefficient, egotistical, blind – many an epithet comes to mind. Earlier this season over 100,000 people signed a petition for him not to referee AFC again, yet the FA selected him which tells all about how the FA view the paying punter’s opinions. I could, and probably will, write a post about the deeds of Mr Dean. Don’t forget the early K.O. Watching Italy against Croatia on Thursday, I could only admire the silky skills of Pirlo, the Italian Playmaker. Especially in the first half, Pirlo gave a demonstration of what the Conductor role is all about. He always makes himself available by cleverly, and constantly, finding space. As soon as he gets the ball, he already knows what he wants to do next. He possesses a great first touch and can move forward, and if necessary past a player, quickly and with great close control. On top of this, and it’s his most valuable skill and so rare in a footballer; he has a great overview of what is exactly in front of him, and what needs to happen next – and he can pick the pass that pulls a defence apart in one move. Of course, not every ball by Pirlo is a killer-pass, but he always seems to know how to move the play on with real intent and effectiveness. He gives shape and purpose to a team and Pirlo has been brilliant this season for both Italy and Juventus, with whom he just won the Italian league. His is not the youngest, and once Croatia had levelled he did not have the energy anymore to drive his team forwards in order to get the all important winner. At an age of 33, I think he can be forgiven for this. I love this kind of player though. They lift football to a higher echelon; they make football into poetry in motion, and they make me want to watch games of teams I do not support, or even like. Whilst watching Pirlo, I could not help but think back about our former Spanish Maestro, our ex El Capitan: the one who left us because his home town was calling him. I still love watching Cesc even though he plays no longer for us. I guess I still feel a bit of man love for him, a purely platonic one mind you! I am not bitter though, unlike some Arsenal supporters. He was young and felt a strong urge to return home, where they finally seemed to want him, and where they are playing the best football in the world: I probably would have done exactly the same. When Fabregas scored his goal though, after he came on late on Thursday, I could not help but think he is not fully happy at the moment. There seemed to be some frustration there – maybe as a result of having to come on as a late substitute, or maybe because he is not being played in the position that suits his talents best. Having watched him play at Barca in a new role this season, for which he needed to adjust considerably, I feel he has been underused by Guardiola. The now departed manager played him far too high up the pitch, where he did relatively well, but could not play his best football. The Conductor has been asked to play the double bass, or the first violin, and to a certain extent this is fully understandable. Cesc decided to join Barcelona when they already had two of the finest conductors, and they also do not play the sort of football where there is a pivotal role for a classical playmaker. And this is where he might have made an error of judgement. If he had stayed at Arsenal for at least another year, he could have continued in the hole – in the ‘1’ of our 4-2-1-3 formation. That is where Cesc belongs. If a player is blessed with the same skill-set as described above for Pirlo, and Cesc has these in abundance, and he finds himself in a position where he is not required to use his strongest assets, then football is being done an injustice, and a player is effectively denying himself – is not fulfilling himself. Good Playmakers are rare and they need to make the play. And that is a great shame. Cesc is no longer cooking on gas and I wonder whether he has any regrets about his early move to Barcelona now. Despite Cesc’s two excellent goals at the Euros and all his impressive goals and assists for Barcelona this season, he still left at least one season too early in my opinion. And I think he realises this as well at the moment. Just imagine him last season: in front of Arteta and Song – what a season it could have been for us, and certainly also for him. Fabregas is such a good footballer that he can be played almost everywhere and do well. But that is not the point. Barcelona and the Spanish National Team are confronted with an embarrassment of riches, and in the process a great talent is being wasted, whilst the clock is ticking. What If Wenger Does A Guardiola And Walks Away? So to tidy that up, that is four seasons in charge winning three League titles, two UEFA Champions Leagues, and one Copa del Rey – and yet, it seems, Pep Guardiola is likely to walk away from Barcelona after all but conceding the league to Real Madrid, and getting knocked out of the Champions League by Chelsea’s bus. They now just have the Cup Final left to win some silverware. They are yelling it on Fleet Street and in their masses on the internet. But is he really? Apparently the going has gotten tough and Pep is doing a runner. Barcelona are over-rated. They are not “the best team ever” – Would the best team ever have a back five pretty incapable of defending? Valdes makes Almunia look good. Alves is a poor man’s Carlos, and while Puyol is a good defender, he is no Franco Baresi. Isn’t it funny how Lionel Messi didn’t perform over the two legs in the Champions League semi-final and they get knocked out? They are a great team, the best team CURRENTLY plying their trade, but the best ever? Surely I can’t be the only one that watched the AC Milan team of the late 80s and early 90s? Pep’s influence on the team has been over-rated. In 2008, he inherited a team that was largely been built up since the Academy days – the core being Xavi, Iniesta and of course, Messi. Gerard Piqué was also returned to the Nou Camp from Manchester United in the very first days of Pep’s reign, while the likes of Pedro and Busquets were been readied for the first team after coming through the youth ranks. All ripe and ready to form a winning machine – all coming neatly together after Frank Rijkaard had kept the ship steady over this period. None of the above is not to say I don’t think Barcelona are a fantastic side and Guardiola a fantastic coach – he has embedded a work ethic in the side which is unparalleled – sadly it also extends to them largely diving as a team (Messi and one or two more gladly don’t take part) and to them waving imaginary cards and trying to get opponents sent off. 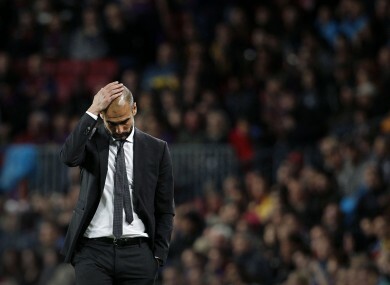 So back to the main point – Is Guardiola walking away? Yes, yes he is. But he’s not walking away from the hard work ahead, or the cries of some greedy fans who want trophies every year, he’s walking away from a possible heart-attack. Pep has just turned 41, has a young family, and has aged considerably in the last season or two. But Barcelona are a winning club you say, where is the heart attack waiting to come from? I’ll tell you – the pressure. The pressure of being expected to win every game at a canter, to win every trophy available every season. The pressure of having a mad President that comes part and parcel of a top Spanish club who buys a player at a mad expense and tells you to play him whether he fits or not into your puzzle. Pep Guardiola is taking a break from football for the sake of his health – both physically and mentally. And who could blame him? He has achieved so much in so little time, and at 41, will still be such hot property when, and if, he returns to football after a season long break. Besides, it’s not as if he might not have done this anyway, regardless of Barcelona’s “failed” season. He has only ever accepted rolling one year contracts and has always hinted he would take time out of the game after a few seasons. So what has all this to do with Arsenal and Wenger? Quite a lot actually. The pressure Guardiola is under is very similar to that Wenger is under: managing a big club whose fans expect to win every season playing perfect football. However, unlike Pep, Wenger can’t walk away from football for a while and then pop back into it again. At 62, he may feel that the time is slowing, closing in on his time as a manager, time closing in on his dream to win the Champions League. So what if he decides to walk from Arsenal to achieve that? What if he thought to hell with the financial pressure he is under and trots off to PSG, Madrid or Barcelona? Sure, he’ll be under the same pressure as at Arsenal, but he’ll have more financial muscle. If anything, walking into Barcelona would be easier for Wenger, he will inherit the same problems there as he has here – dodgy back five, strike force that weighs heavily on the shoulders of one man, pressure to play proper football, pressure to win, but he’ll have the ££££ at Barcelona. Pressure?! Pressure, Mr. Guardiola, Mr. Mourinho? Pressure to win because they spend so much on their squads say Fleet Street, but Mr. Wenger is “under none” because we have a board with an ounce of cop on when Portsmouth and Glasgow Rangers are dying. Pressure?! Come to an angry Emirates Stadium of a cold Saturday afternoon Pep, I’ll show you pressure. Remember when you were small (or in Chary’s case, smaller)? Morning break – out came the football, lunch break, – out came the football, after school – out came the football. 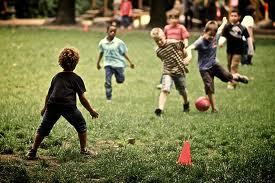 At weekends, a game Saturday morning and another in the afternoon, often playing until dark in summer. What is the relevance of my opening paragraph? Well, it is the complete tosh talked about Chelsea having to play 3 big games in a week. These men are honed athletes who spend their lives doing something they love and are trained non-stop to do so. If I can play 30+ hours a week as a 12 y.o. then they can manage under 5 hours as adults. Am I right or am I right? Chelsea have one of the biggest squads in World football. They have a World Cup winner and the most expensive player ever in the PL on the bench! 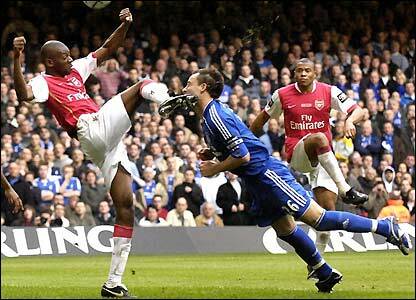 They have Essien on the bench, who IMO has been the best DM in the PL since PV4. But they moan about how the FA have been harsh. If the FA was harsh Meireles would be banned for being so damned ugly and frightening the horses. It is true Chelsea will be missing some players through injury but who in their right mind would play Luiz ahead of Cahill against Arsenal? Ivanovic is banned but they have a €21m replacement in Boswinga (yes, €21m !!). Rumour has it that Drogba is out, and we all know that Drogba loves to play us, but in Torres, Sturridge and Kalou they have some very expensive and talented replacements. Playing Barca on Tuesday will certainly be on their minds, however, should The Blues fail to win at Camp Nou and this afternoon they are likely to play a regular Thursday night game. So, this is a huge game for them and I expect nothing less than 100% effort and a full first team. Our problems start and end with Arteta. His absence is statistically worrying (we have yet to win a PL game without him) but we showed against AC Milan how good we can be if we really attack from the first whistle. That said, we have shown a weakness to very fast counter-attack and Chelsea are certainly capable in that area. Will Mr Wenger give an out of form Gervinho another start? I wouldn’t. I would start with O-C and tell him to attack Boswinga and then cut inside. On the other wing we have to hope Theo gives Cashley a tough afternoon. Cole has been the best LB in the PL history and it is a huge regret that he took the 30 pieces of silver. I have said before that if RvP scores today then we will win. In my opinion, he is the key player. His shooting has been a little off recently but he is The Man, and if we are to take 3rd spot Robin has to keep scoring until season’s end. Today’s Gooner: With the Olympics coming up and high hopes for Diving medals, it should not be forgotten that the man in the diving form of his life is a huge Gooner: Ashley Young of the Manchester Diving Team. It is hoped that he and Mr Wayne Rooney will represent GB in the Men’s Synchronised 10m Diving team. Given their past record, a podium position is assured. Vital game for both teams today. Arsenal must shrug off the disappointment of Monday and play without fear. If and it is a big If, Chelsea do suffer from fatigue we must punish them in the final 15 mins. I believe we can beat the South West London Ponces. 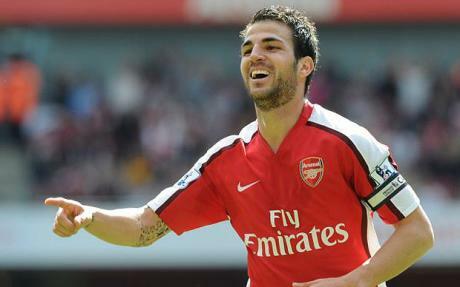 Barcelona’s Gerard Pique has lashed out at his team mates over their attempts to unsettle Arsenal captain Cesc Fabregas. His midfield colleague Xavi was the latest Barcelona player to go public about Fabregas earlier this week, earning a stinging rebuke from Arsenal manager Arsene Wenger. Other players from the Blaugranes to have made unprompted comments include Andres Iniesta, Dani Alves and Pedro Rodriguez. Even the mayor of Fabregas’ home town got in on the act this week, suggesting the Arsenal stalwart had been ‘kidnapped’ by his club. Many observers see the barrage of comments as an orchestrated campaign by Barcelona FC to unsettle Fabregas and force Arsenal to sell him at under his market value. There is growing speculation that the blatant nature of the campaign is alarming the European game’s top echelons, with UEFA preparing to step in to remind Barcelona of their responsibilities. If the Catalans ignore the warning sanctions could follow. He added that although Barcelona’s players had always talked with respect, their comments were damaging the Arsenal number four and they should stop immediately. This story accurately uses the same quotes that were used in yesterday’s coverage of Pique’s remarks. It’s quite clear that while Pique was offering a partial defence of Xavi, he was also saying that his team mates should stop talking about Cesc. Strangely the British press chose only to focus on the former interpretation, with not a mention of Pique’s “shut up” message to his fellow players. A typical headline was “Pique defends Xavi comments” (ITV Football). There’s a simple reason for that. The media has decided that Arsenal are in crisis, that Fabregas and Nasri are going and that “big” players don’t want to join us. Once their pack mentality kicks in, they willfully ignore facts that contradict this over-riding narrative (such as the second half of Pique’s comments). In fact, once Fleet Street decides on its narrative it’s harder to turn than a supertanker. Regulars will know I have banged on about this a lot, but it really does my head in. And by writing the Pique story the way it could quite reasonably have been presented with exactly the same facts, I hope it will go some small way towards helping Arsenal fans realise they should pay less attention to what they read. Most of it is made up and the rest is twisted to suit whatever agenda the journalists and their paymasters want. Ignore the bullsh*t. Wait for the facts.